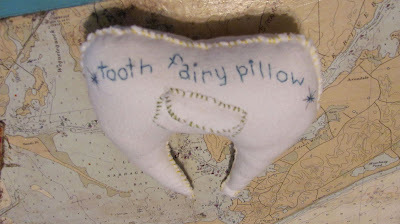 This is another tooth fairy pillow for Dan's niece Sadie. 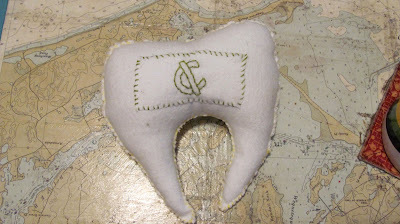 Shes about to lose all her teeth and told me she wanted one of these. Even though she'll probably forget that conversation come Christmas gift giving time, I'm sure she will love it. This time I didn't use felt and I think it came out a lot better. The felt was pilling up and just got too fuzzy. This time I used a heavy cotton my Grandma sent me to make it.